Since January 2011 she is an external PhD student at the TU Bergakademie Freiberg (Germany) at the Institute for Inorganic Chemistry under the supervision of Prof. Dr. E. KROKE. Ms Müller`s PhD project is therefore performed in a close cooperation between the two research groups. Lippe in July 2010. During her Master’s thesis at Henkel (Düsseldorf) she investigated the phase behaviour of surfactants. Furthermore, she studied evaporation thresholds of different fragrances on cotton and polyester tissues at the company Symrise during the Bachelor’s thesis. 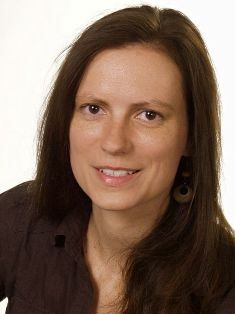 In the past two years Christiane Müller explored and developed a novel sol-gel synthesis route which allows preparing highly transparent silica based networks from an aminosilane precursor. She successfully applied these materials for entrapment of living microalgae and light-harvesting samples. This novel synthesis overcame the disadvantages of alkoxides such as tetraethylorthosilicate or tetramethylorthosilicate for preparation of silica materials. Besides, cobalt nanoparticles were entrapped in an aminosilane-derived non-magnetic silica matrix which resulted in magnetoresistance effect amplitudes of up to 260% at room temperature. During summer 2013, she participated at the XVII International Sol-Gel Conference (Madrid, Spain). Her two poster communications on the novel synthesis route and the entrapment of light-harvesting complex were selected for one of the two travel grants attributed by the ISGS. This grant gave her a good opportunity to extend her knowledge about relevant and innovative topics in the field of sol-gel science, to exchange ideas with other colleagues and potential cooperation partners. Mueller C., Patel A., Kroke E. (2012), EP12177440, Silica-based gel with entrapped sensitive material and method for its production. Mueller C., Kraushaar K., Doebbe A., Mussgnug J. H., Kruse O., Kroke E., Patel A. (2013), Synthesis of transparent aminosilane-derived silica based networks for entrapment of sensitive materials. Chemical Communications, (submitted). Meyer J., Rempel T., Schaefer M., Wittbracht M., Mueller C., Patel A. V., Huetten A. (2013), Giant magnetoresistance effects in gel-like matrices. Smart Materials and Structures, vol. 22, pp. 025032.